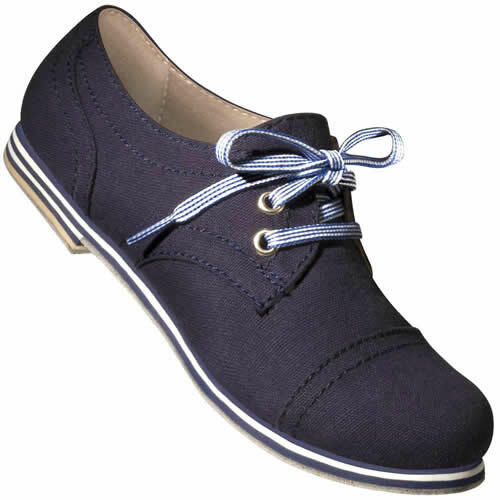 Ultra cute women’s Navy Blue Canvas Captoe Swing Dance Shoes. Reminiscent of early 20th century women’s sport shoes. Constructed in a casual style with an adorable round toe and contrasting shoe laces. Color: Navy blue canvas with navy blue stitching. Blue and white sole. Shoelaces included: 1 pair of blue and white striped, 1 pair of solid white (so you can get your “sailor” look on).